There are many reasons that a kid joins a gang. Most gang members are the product of a broken family. Others join gangs because they think that there are no opportunities for them in the community or that a gang will bring protection and a “family” they so desparately want. Studies also show that six out of ten kids join a gang just to pass the time. Christ For the City in Costa Rica is reaching out to these kids through a program called New Horizons. Located in a slum called La Carpio, near a garbage dump, New Horizons helps provide an alternative to gangs among the area’s youth, many of whom are Nicaraguan refugees. Sports is one way CFCI staff at New Horizons reaches these kids. There are four sports fields on the center’s property. Three of them were designed for futbol (soccer) and the other for baseball, Nicaragua’s most popular sport. 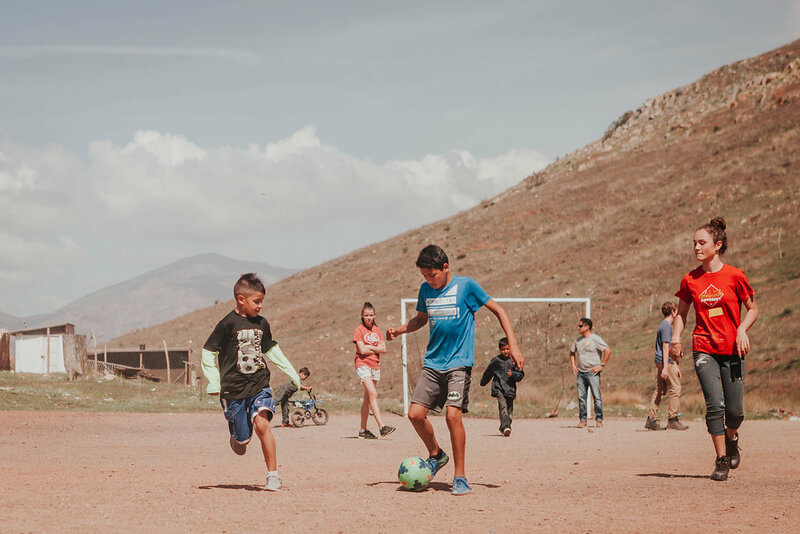 Bring your passion for sports to San Jose, Costa Rica and reach out to the at-risk and impoverished youth being served at New Horizons through serving as a Christian role-model, organizing or taking part in sports activities and providing discipleship, Bible study, and mentoring. Join us in intervening for good in the lives of youth that may otherwise choose to become involved in gangs and crime.